Forty years ago, Ronald Webbink at the University of Illinois, Urbana-Champaign noted that close binary systems cannot survive once the fuel supply of one star dwindles and it starts to enlarge. The stars coalesce to form a single rapidly spinning star initially residing in a so-called “excretion” disk formed by gas thrown out during the merger. 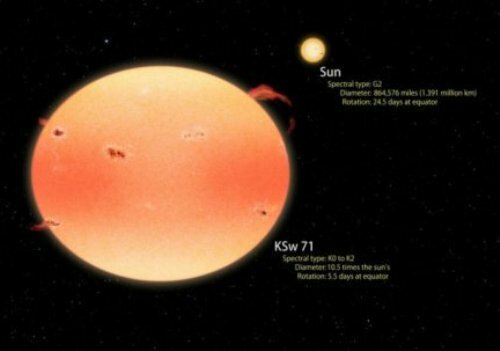 The disk dissipates over the next 100 million years, leaving behind a very active, rapidly spinning star.